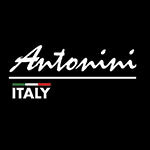 Since 1925, Antonini knives have been assembled, finished, and sharpened all by hand. The quality of the raw materials used and the quality of workmanship that, under the "Made in Italy" banner, mean the highest possible durability and cutting performance. All blades are made with 420 stainless steel and the handles are made of sturdy ABS plastic.